Abu Dhabi & Dubai: Zayed University hosted San Xun Art Troupe Performance in Abu Dhabi and Dubai campuses in efforts to promote friendly bilateral relations between the UAE and China. The San Xun performance was organized by the Beijing Foreign Studies University, one of the top universities in China, headed by Zhao Min, Vice Chairman of University Council and Vice Dean of the College of Arab Language at Beijing Foreign Studies University. 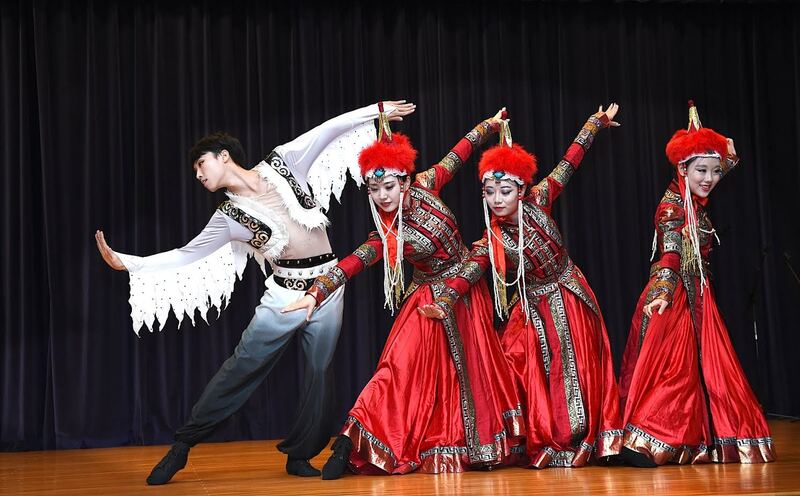 Sponsored by the Confucius Institute in China, various San Xun troupe performances have been conducted at the 500 Confucius Institutes established throughout the world, including the one located at Zayed University. The Institute, named after the great Chinese philosopher, is the latest to come to the UAE. It is promoted by Hanban, the Chinese National Office for Teaching Chinese as a Foreign Language runs over 100 similar institutions in around 50 countries. San Xun means three forms of troupe: performance, exhibition, and seminar on Chinese art, culture, and values. The performers are drawn from university student art groups and have to meet high standard to qualify for this mission. The two-day event was attended by Dr Marilyn Roberts, Provost at Zayed University, faculty members, staff and students. The Silk Road acts as a great platform and a bridge for exchange in all fields in order to promote common understanding and develop commercial, economic, and social links. The program also included Chinese classic music, traditional dances, martial arts representing the 56 different ethnic groups of Chine and Arabic dances. Audiences experienced the unique Chinese music and colorful dances and were impressed with the charm of the Chinese art.